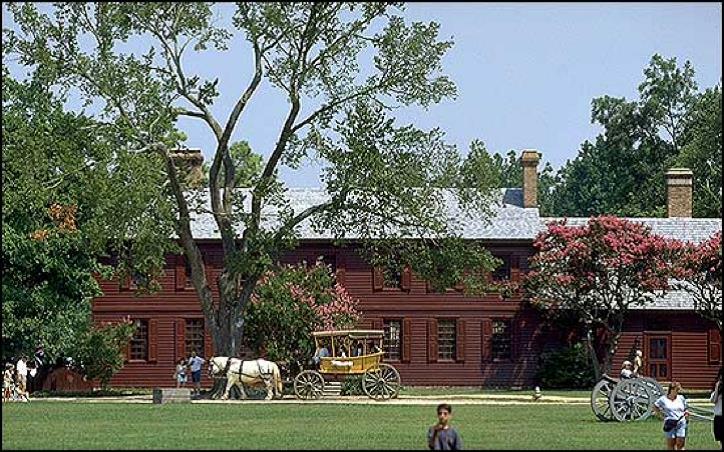 Let’s take a look at Williamsburg, VA. Where did General Rochambeau, Commander of French Army reside while in Williamsburg? How long was he there with his Army? During the siege of Yorktown Rochambeau occupied the Peyton Randolph House, now beautifully restored as a part of Colonial Williamsburg. See photo below. Following the successful siege of Yorktown until the departure of the French on June 23, 1782, General Rochambeau made his headquarters at the George Wythe House. See below. I visited both the Peyton Randolph and Wythe Houses on a fine fall day several years ago. It is exciting for me to tour these once-private homes where so much history happened. I salute Colonial Williamsburg! For more info on these houses and the unexpected and rarely-recorded events that occurred in Williamsburg at the close of the American Revolution, I invite you to explore Chapter 10 and chapter 11 in my book: Rochambeau, Washington’s Ideal Lieutenant, A French General’s Role in the American Revolution. 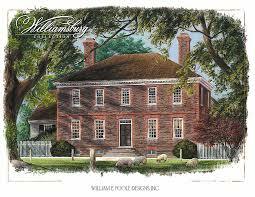 Why not plan a trip to Williamsburg and Yorktown for October 19? You will see the largest re-enactment of the Rev War at that time. Enjoy!!! A Most Happy New Year to everyone who has helped me to remember Rochambeau! 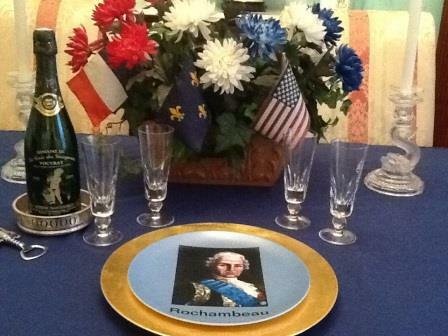 Let’s drink a toast to Rochambeau! Buvons un coup; buvons en quatre! Vive l’Amerique! Vive la France! Dear readers of my blog: Please remember to sign up with your email address to receive notice of my posts! Hugs and Best Wishes in the New Year from Jini and John! Tagged Happy New Year, Rochambeau, Vive la France!, Vive l’Amerique!